We are professors at the University of Barcelona and the Autonomous University of Madrid. 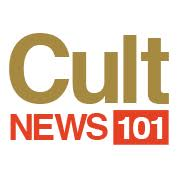 Our research group has been studying the phenomenon of cults for years. Currently, we are conducting a study about the abusive practices applied in these groups, and the consequences that their former members can suffer. We would greatly appreciate that you answer and disseminate the survey for reaching as many former members as possible, so we can achieve significant results that will help to show the social relevance of this phenomenon. Once we reach an adequate number of participants, we will send you a report with the main results of the study. Do not hesitate to contact us if you have any doubt or questions.